As we all know that the Pokémon GO is an augmented-reality game which was developed by the Niantic for iOS and Android devices. Pokémon GO becomes the world’s most famous mobile game since it was launched and it has taken the world by storm. It had Approximately 21 million Daily Active Users within the three days of release. 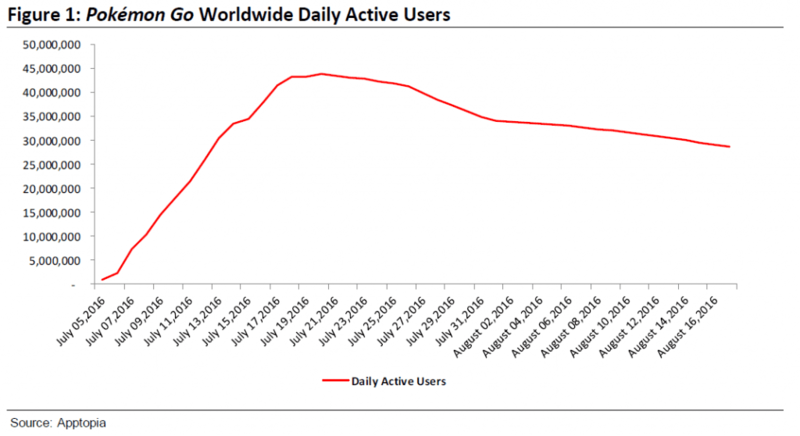 By the end of July, the app had 45 million daily active users worldwide. However, Pokémon Go is down to around 32 million previous weeks. It is surely not good news for Pokémon Go’s creator Niantic. However, App’s and Games typically measure their usage on the monthly basis instead of daily or weekly. Bloomberg has published some charts by Axiom Funds Administration that show the user engagement. Bloomberg had also shared the chart of Google Trends data which clearly shows declining interest in augmented reality. On the other hand, the Virtual reality remains high. However, it is still the number one free game in Google play store and number two free game in Apple’s app store. 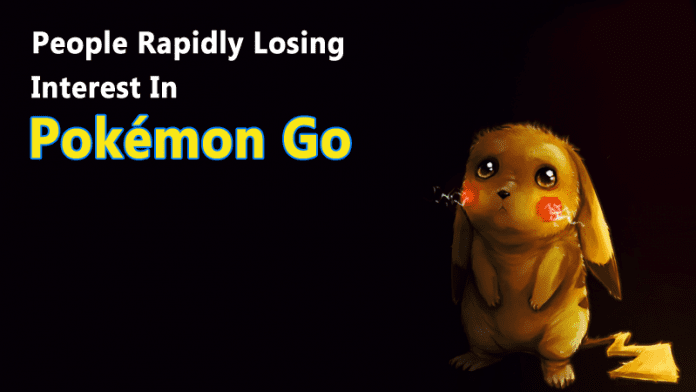 So, it will be too early to judge howPokémon Go is fairing in the longer term. The game is still be launched in many parts of the world.